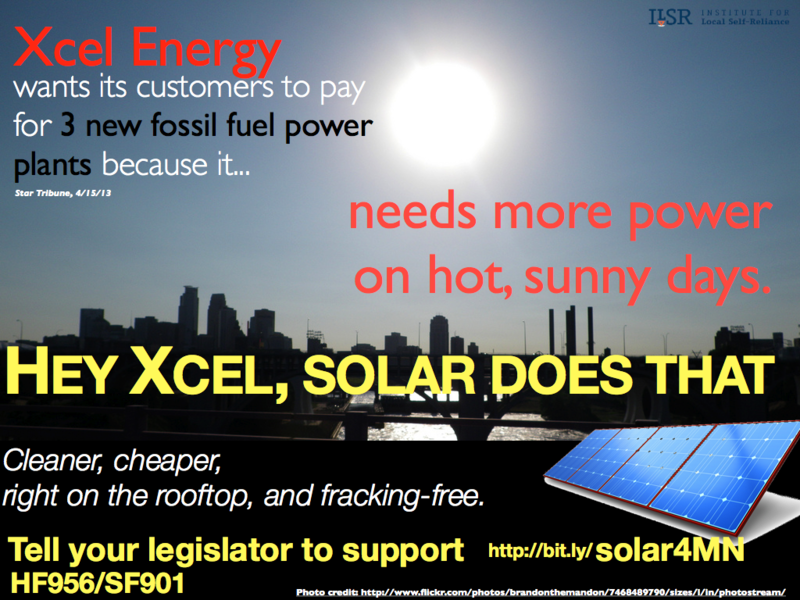 If you’re a state legislator in Minnesota, here are a few grains of salt to season the message you’ve been getting from electric utilities about the proposed solar energy standard. The bill (HF956/SF901) requires most utilities to get 4% of their energy from solar by 2025 and offers a standard, fixed-price contract to distributed solar energy producers (the same deal utilities get when they build their own power plants). The bill works by combining a utility-financed, revenue-neutral, market-based “value of solar” tariff and a ratepayer-financed incentive that is explicitly capped at a one-time 1.33% increase in electric rates. 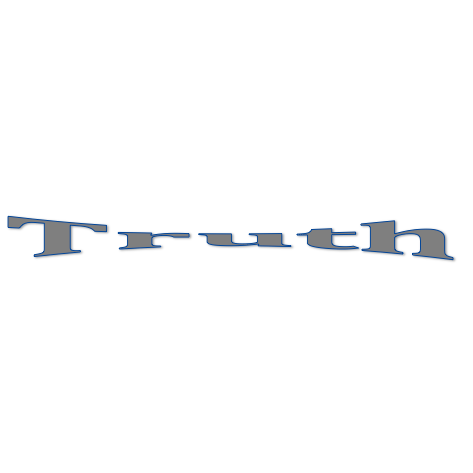 Utilities are crying foul over the cost, the same utilities that have raised electric rates by 35-40% in the past decade. Let’s start with the average retail price of electricity, as reported by the utilities to the federal Energy Information Administration. 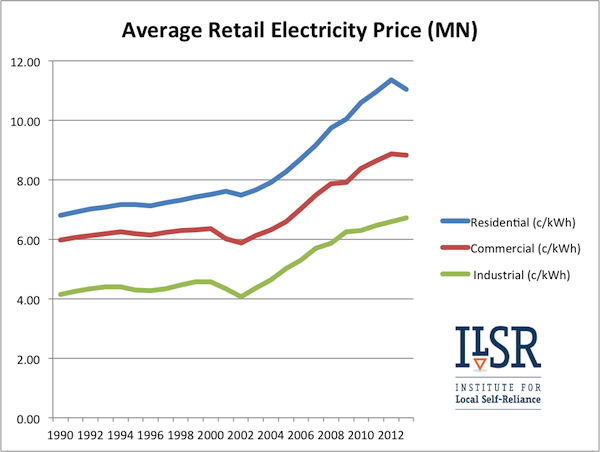 The average retail rate for Minnesota electricity customers has increased by 40% in the past decade, spread fairly evenly over the three customer classes: residential, commercial, and industrial. It’s not any one particular utility that is the culprit, either. All three major types of electric utility – cooperative, investor owned, and public – have increased rates significantly. Are we paying for more energy? Not much. Rates increases are 5-6 times higher than would be explained by electricity sales, which rose just 7% between 2004 and 2011. No, what’s likely happened is that the utilities anticipated ever-increasing demand would pay for new infrastructure (e.g. 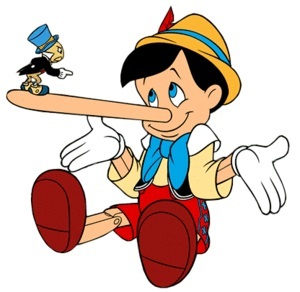 new transmission lines) but their forecasts proved erroneous, requiring them to increase rates. In contrast, the solar energy proposal in the state’s energy omnibus bills would bring online over 2,100 megawatts of peaking power, power that’s not lost in transmission, and power generated right where Minnesotans consume energy. 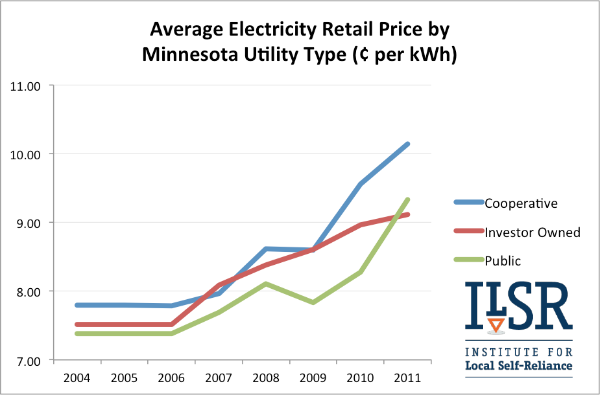 It does so at an extremely modest cost, especially compared to the value proposition – rate increases for the same service – offered by Minnesota’s electric utilities. Thanks for providing this important context, John. One could also mention that utility fuel costs (which are often passed along directly to the customer as a separate charge) have also been going up over time. The cost of coal delivered to Minnesota has roughly doubled over the last decade. In contrast, the “fuel cost” for solar PV is free forever.